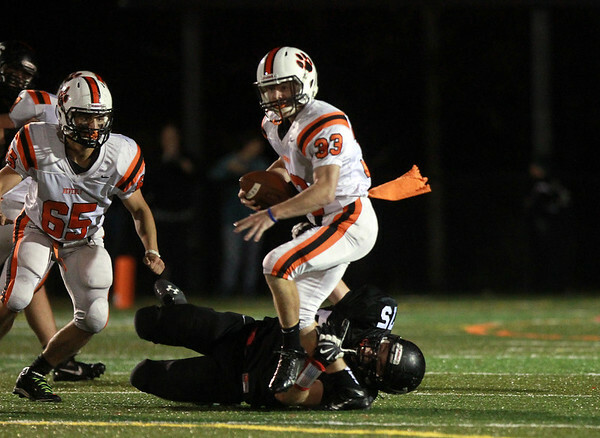 Beverly senior captain Bryan Flaherty (33) gets dragged down for a sack by Marblehead senior Tommy Gabel (75). DAVID LE/Staff photo. 10/10/14.